Sell My Samsung Galaxy Gear S Smartwatch | How Much is My Gear Worth? Select the information above in order to receive an accurate quote for the Galaxy Gear S you want to sell. Click sell item if you agree with the price that is displayed. GreenBuyback purchases cell phones, tablets, and laptops at the highest prices in the industry! GreenBuyback pays cash for your old cell phones, tablets, and laptops. When you sell your cell phone, tablet, or laptop to GreenBuyback you will never have to pay shipping. GreenBuyback is dedicated to maximizing the cash back to our customers. Sell your Galaxy Gear S for cash today! This smart-watch from Samsung is a wearable design from their Galaxy line. The Samsung Galaxy Gear S is known for its curved design, making it comfortable for wearers. The screen is bright and big, so it is easy to see. 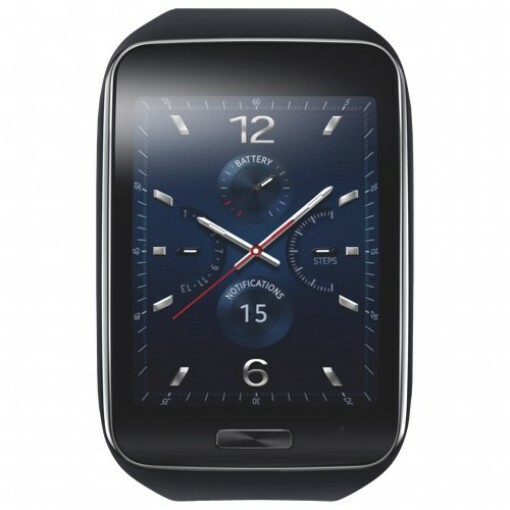 The Galaxy Gear S runs on 3G, Wi-fi and Bluetooth connections. The Galaxy Gear S comes with an extra battery pack, which is very convenient for travel or work. Further, the watch can stay connected when it is away from a phone because it has 3G data and Wi-Fi capabilities. Selling your Galaxy Gear S is so easy with GreenBuyback; send your Galaxy Gear S to GreenBuyback with free shipping and you’ll get cash sent to you fast! Because the Galaxy Gear S also has a SIM card slot, it can easily be used as a phone and watch. The onscreen keyboard supports more than 60 languages, making it ideal for travel. GreenBuyback will buy your Galaxy Gear S in any condition, even broken. Simply head to GreenBuyback to get a quote, send your Galaxy Gear S in, and get cash quick!